geared towards teachers, students and parents as well. The publication blends space history – past, present and future – with interviews, career paths, astronomy lessons, aerospace and astronomy news, museum features, NASA technology spinoffs, puzzles, games, quizzes, lesson plans and other educational resources, along with easy-to-follow explanations of the mathematics and physics of all things to do with aerospace and space travel. 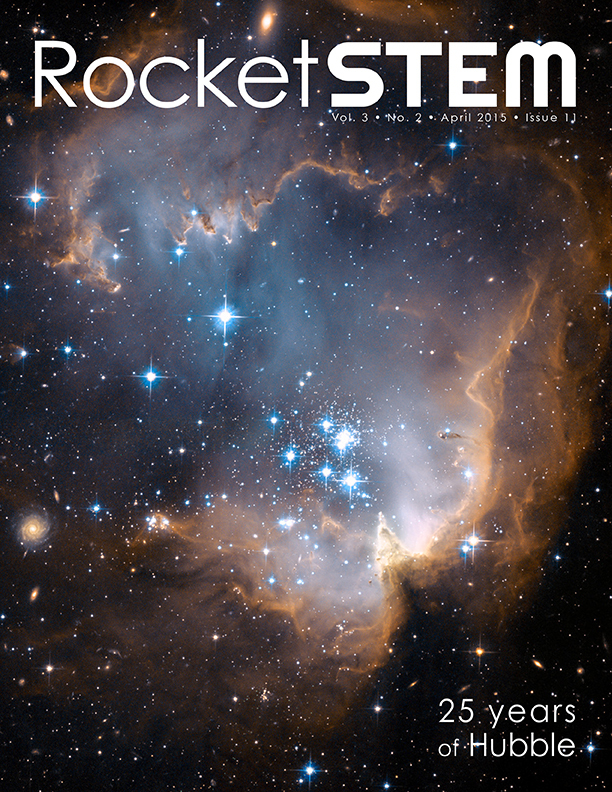 our supersize collector’s issue of RocketSTEM devoted 100% to the 25th anniversary of the Hubble Space Telescope observing the Universe from Earth’s orbit. Showing humanity the Universe For 25 years, the Hubble Space Telescope has been peering outward. 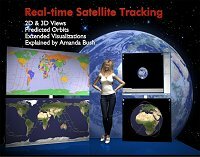 Hubble’s greatest discoveries Ground-breaking discoveries made possible by Hubble. Edwin P. Hubble The man behind the name of the space telescope. How they do it Processing B&W images from Hubble into stunning full-color. Making house calls Quick glance at the first four servicing missions. Last visit to Hubble The mission that almost never happened, STS-125. Get updates on the release of new issues and other news by signing up for their mailing list.